Modern pool systems should make your life easier! 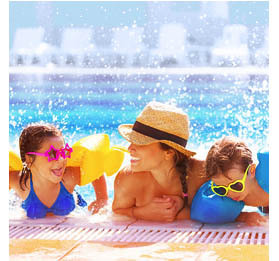 CircuPool offers cutting-edge complete pool systems that free you the constant worry and work of normal pool maintenance. Why do people love their blue CircuPool saltwater pool systems? Because it's so easy to keep your pool that perfect shade of blue. Automatically have the cleanest, safest water possible for a luxurious swimming experience - without the hassle or expense of typical chlorine pool maintenance. Easily convert your pool to salt chlorination in about an hour! Complete kits starting from $549. Don't add any more chlorine. 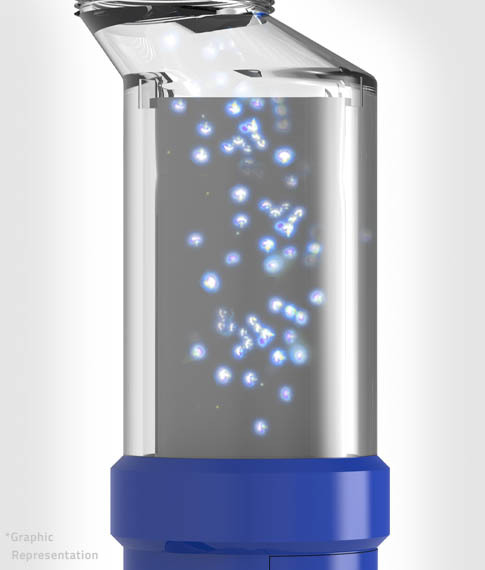 Kill germs automatically with no chemical hassle. 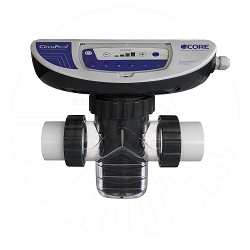 Huge savings of up to 50% or more over traditional chlorination. Swim in clean, sparkling, soft water. No more red eyes, itchy skin, or harsh effects. Salt pool conversion just means adding a saltwater chlorinator. Using basic tools, this can usually be done in about an hour. Have an existing system? Convert from anther brand in just minutes using available adapter kits! Unlike other brands, CircuPool never penalizes your warranty for self-installation. I bought a Rj45 circupool chlorinator in 2008. It paid for itself in the first year with what I was paying for chemicals with Baquacil the prior year. I am replacing my system this year with a RJ45 plus. I wouldn't consider any other company considering the technical help and the no hastle warranty. Great company to deal with. I just wanted to let you know that the Circupool system that I ordered back in April has been working really well over the summer. This was the first summer since we bought the house 2 years ago that we've had no problems keeping our pool well chlorinated and clear, it's been great! I can close the pool next week knowing that the water is as well balanced as it can be. Many thanks. Join the millions of pool owners that have discovered the benefits of modern salt systems. Swimming pool owners choose CircuPool because they know it's matchless for value, warranty, ease of installation, and support. Is the pool water salty? No! CircuPool systems only use a very low level of natural salt in order to continually sanitize the pool - it's virtually unnoticeable. In fact, the pool salt levels are almost considered freshwater compared to sea water. How hard is it to use a salt system? CircuPool systems are simple to use. Easily adjust its settings to meet your pool's unique needs. 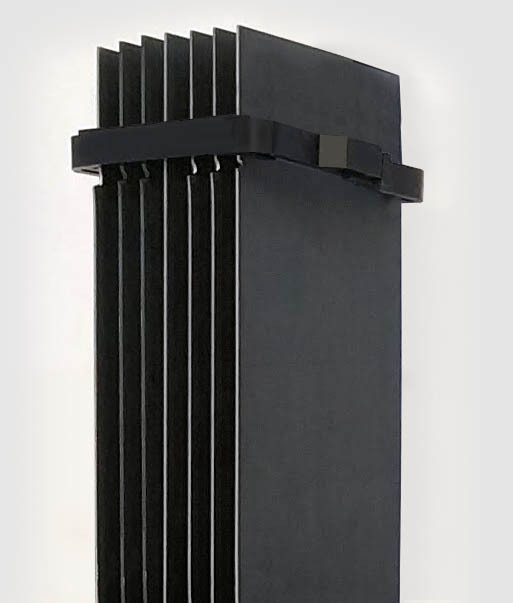 Once set, the system continues to maintain its performance without you having to lift a finger. What is the typical maintenance? Once in place, your pool salt system it works automatically with your other pool equipment to effortlessly generate 100% of your pool's chlorine needs. The savings add up quick! 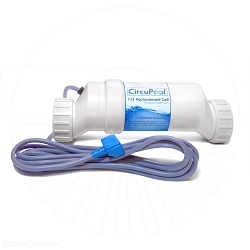 Pound for pound, CircuPool salt systems offer your more cleaning power so you can worry less about your pool. 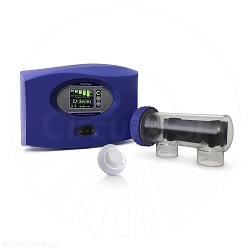 Save 50% or more over traditional chlorination! Make controlling your pool as easy as pressing a button. RJ models come with touchpad controls and OLED display. The Electrolytic Cell is the heart of any saltwater pool system. 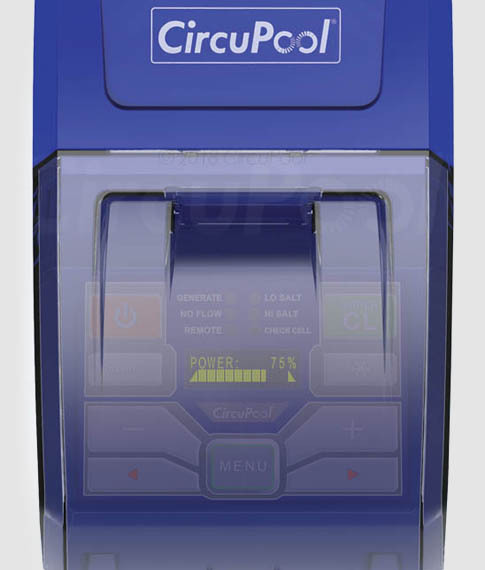 CircuPool offers extended lifespan Titanium Cells with an industry-leading 15,000 hour rating (available on RJ PLUS models). 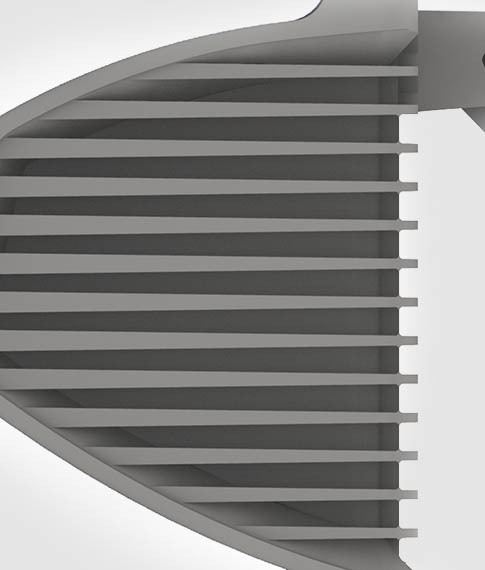 The control module for the CircuPool RJ-Series is built on an industrial-grade die-cast heat-sink made out of solid aluminum for durability and thermal efficiency. CircuPool.com is the number one site for information about modern saltwater pools. Learn the facts and the myths about these incredible systems and find out if one is right for you. 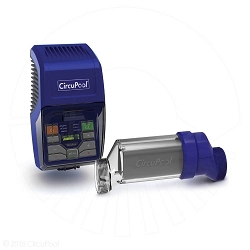 Whether your pool is new or old, a CircuPool® System will save you money, eliminate the hassle of pool care, and make your swimming a true pleasure. CircuPool® products are crafted to exacting standards and carry the best warranty in the business...your complete satisfaction is guaranteed.